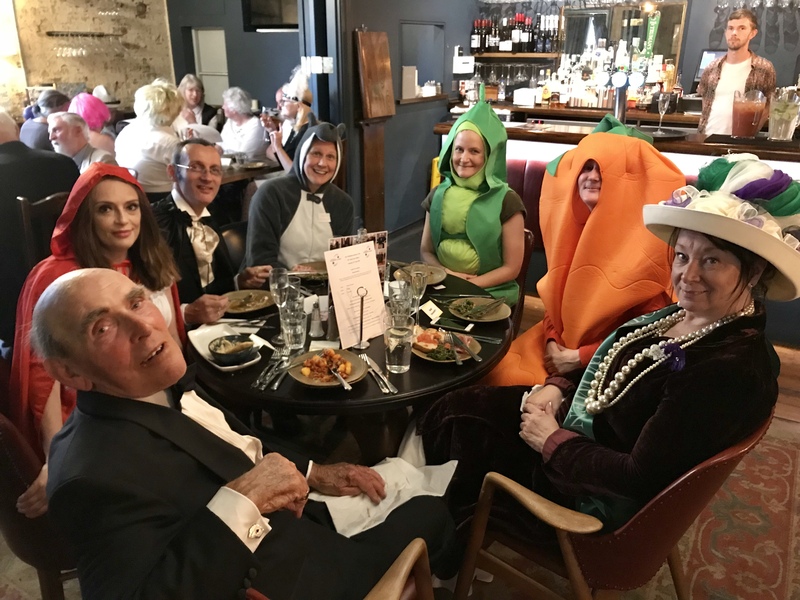 Wimbledon Speakers Club marked its 20th birthday in spectacular fashion last Saturday evening which saw old friends and new come together to enjoy a memorable occasion of great food, song and, of course, speeches! 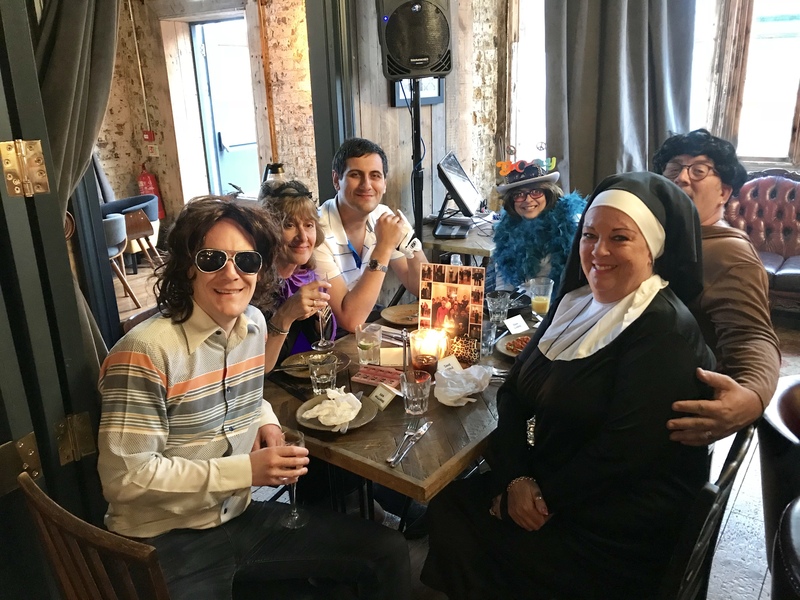 Held in the lovely function room upstairs at The Wheatsheaf in Tooting Bec, our party-goers rose to the occasion with some magnificent fancy dress outfits on display! 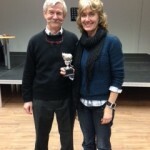 – The Toast to the Club – Doug Weale: Member and Past President of Thanet Speakers Club. – The Response on behalf of the Club – Katherine Inglis: Winner: National Evaluation Contest 2012; Past President of Wimbledon Speakers Club. 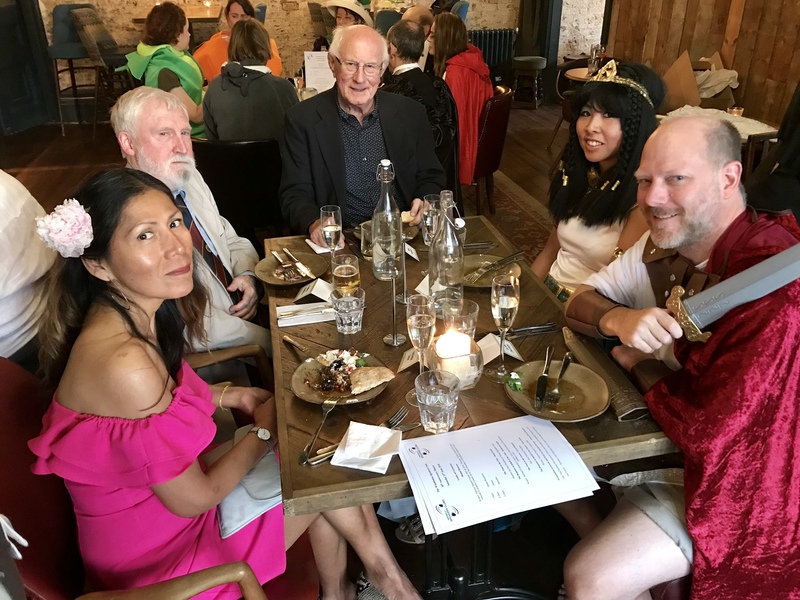 – The Toast to the Guests – Gwyn Redgers: ASC Past National President. – The Response on behalf of the Guests – Tessa Dean: Winner: National Speech Contest 1999. 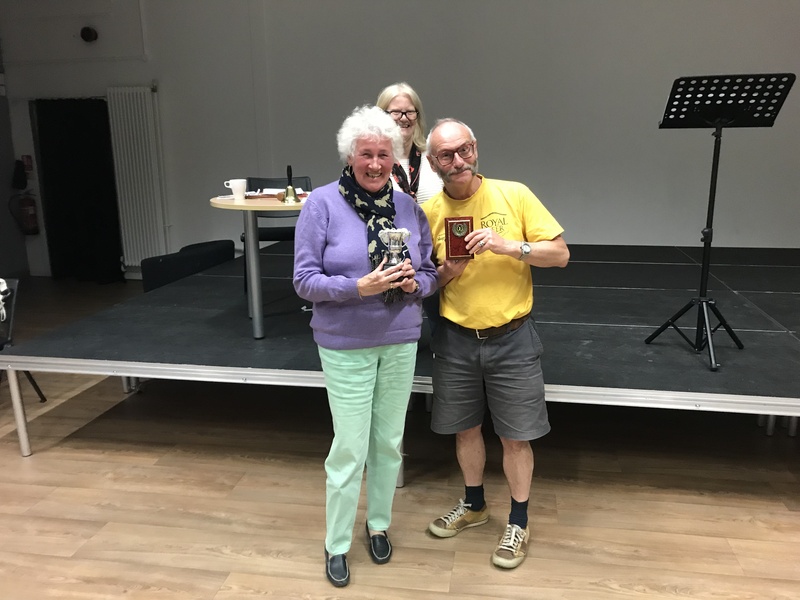 – Presentation of awards and Prize for Fanciest Dresser – Debra Owen-Hughes: ASC Past National Development Officer and President Wimbledon Speakers Club. 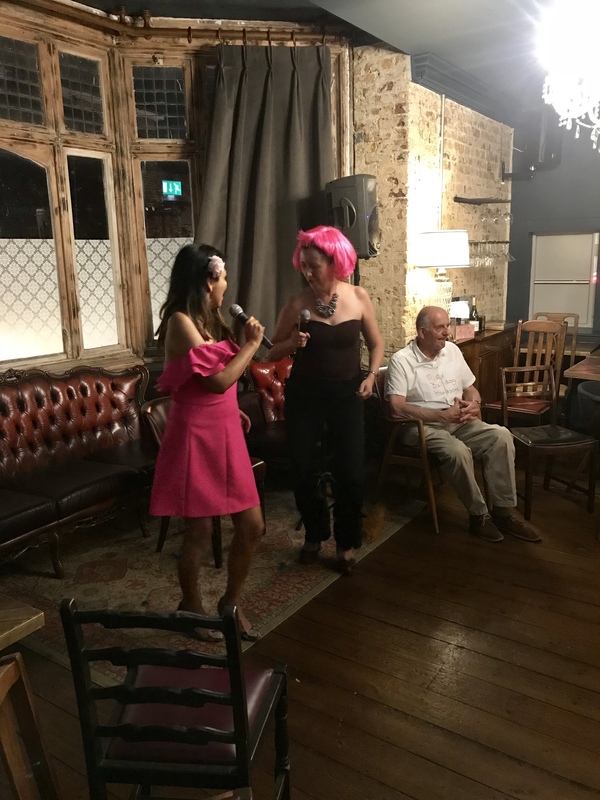 The night was rounded off with some quite incredible karaoke performances, not least from Bilwa ‘Four Non Blondes’ Iyer, WSC’s answer to the Gallagher brothers and The Shakira Sisters! It was a truly fitting way to celebrate everything that the Club has done for its members ever since it first opened its doors in 1998 and the huge amount of success that it has enjoyed on the national stage. 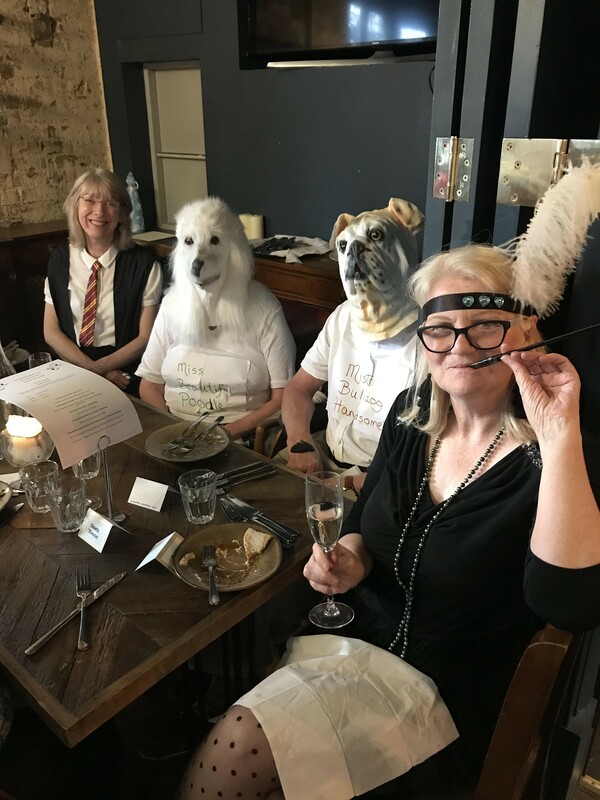 Thank you to Debra and Katherine for all their hard work in organising the evening and to the staff at The Wheatsheaf for looking after us all so well. The Club now enjoys a break for the Summer and so we look forward to reconvening on Wednesday 12th September (kick off 7.30pm) at Wimbledon Library (2 minutes walk from Wimbledon train / underground station – entrance via the automatic side door on the left of the building) for more practice and progress! Everyone welcome – especially new visitors! Another action-packed meeting of Wimbledon Speakers Club last night opened with a short AGM, where Debra was re-elected as Chair for the next year. Congratulations to Debra, Bilwa, Katherine and John for being elected to their various roles – and a huge thanks for volunteering! 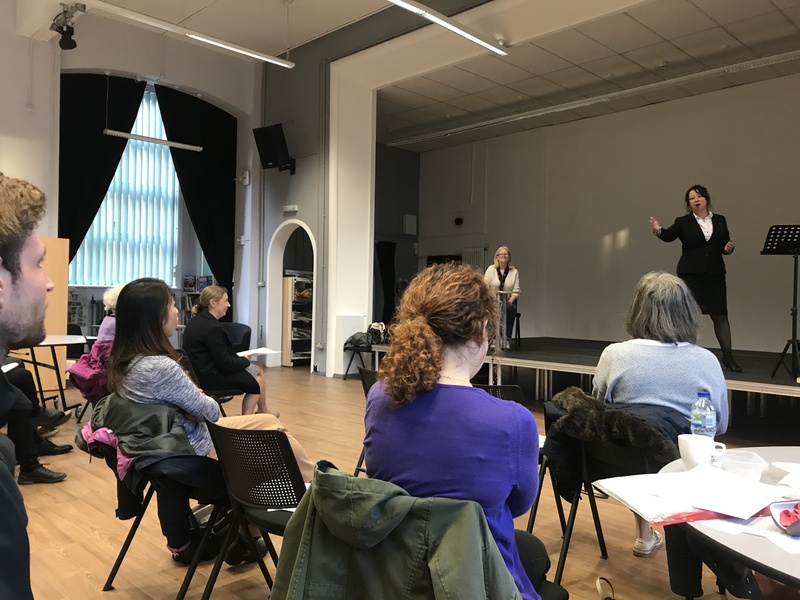 With those formalities dealt with swiftly, it was then onto a training session, delivered by Debra, which focused on how to increase our presence on stage. One by one, the audience were invited up to deliver the new salutation ‘Chair, Speakers and Guests!’, with the remaining audience stood right at the back of the room, giving feedback (and encouragement!) 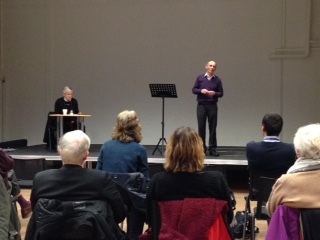 on whether the participants could be heard – a very valuable exercise. 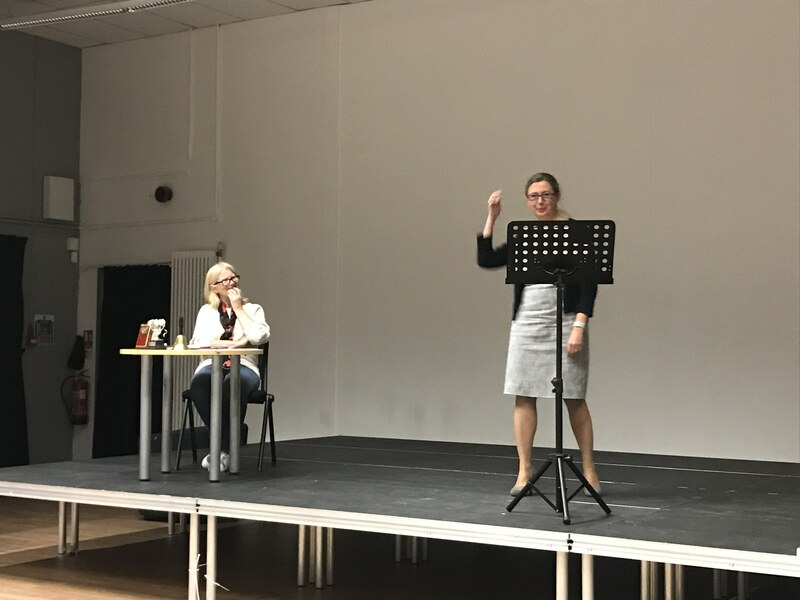 With our stage presence skills finely-tuned, Alice – the Chair for the evening, then delivered the Topics session, which was a set of mini debates. 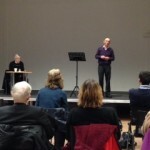 The audience were asked to go up in pairs with one member arguing in favour of a statement made by the Chair and the other member arguing against it. Such Topics given included ‘All redheads should be deported to Scotland and Ireland’ (masterfully handled by Joseph and Don), ‘A woman’s place is in the home’ (dealt with great humour by Bilwa and Jake) and ‘Early to bed, early to rise, makes a man healthy, wealthy and wise’, which saw a barnstorming performance from Jan and Ian which secured them the Debra trophy for the meeting! The Topics session was evaluated by Ben who, considering it was the first time he’d tackled this task, gave a brilliant range feedback for all competitors – great encouragement, praise as well as points of improvement – great work, Ben! After a tea break, it was Rachel’s turn to deliver a Level 4 speech, where the emphasis is on gestures and body language. 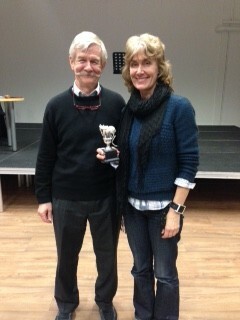 Rachel chose ‘job-seeking’ as her speech subject, which Bilwa evaluated and gave it a strong pass. Congratulations to Rachel – it’s onto Level 5! 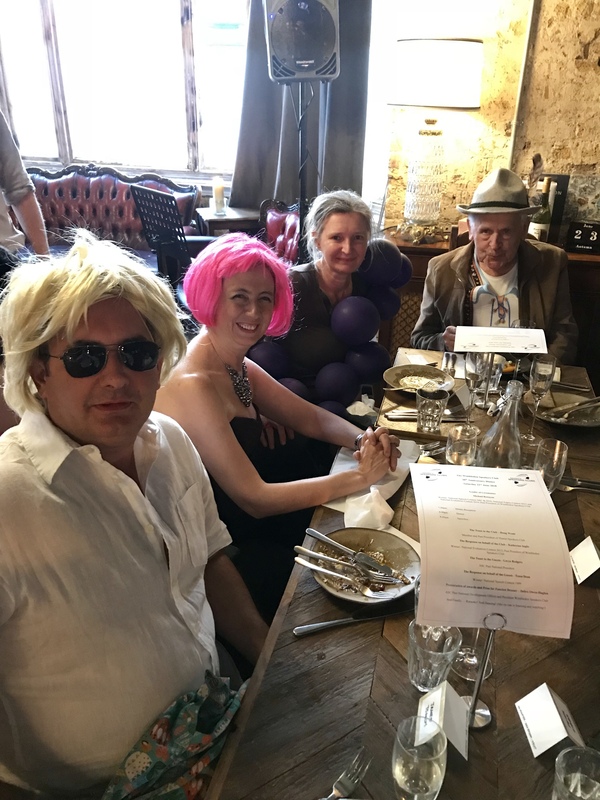 Katherine rounded off the meeting with the general evaluation, declaring it a great success, not least in part due to the fun and highly useful training session and the creativity of the Chair’s Topics. 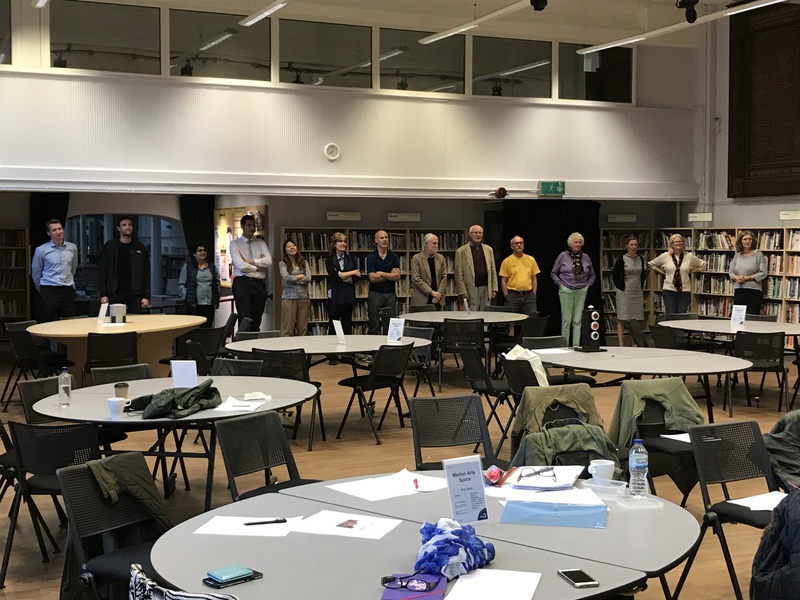 We look forward to our next meeting on Wednesday 6th June (kick off 7.30pm) at Wimbledon Library (2 minutes walk from Wimbledon train / underground station – entrance via the automatic side door on the left of the building) for more practice and progress! Everyone welcome – especially new visitors!